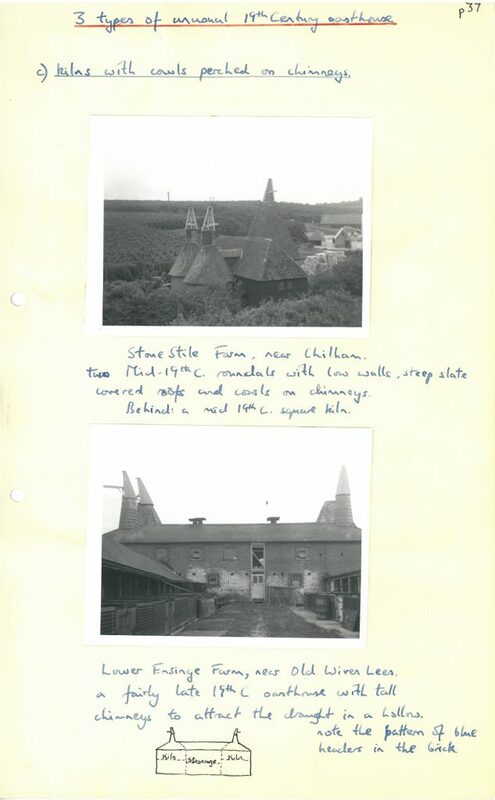 As mentioned on the Home Page, there is no standard, off-the-shelf designs of oasts and hop kilns. 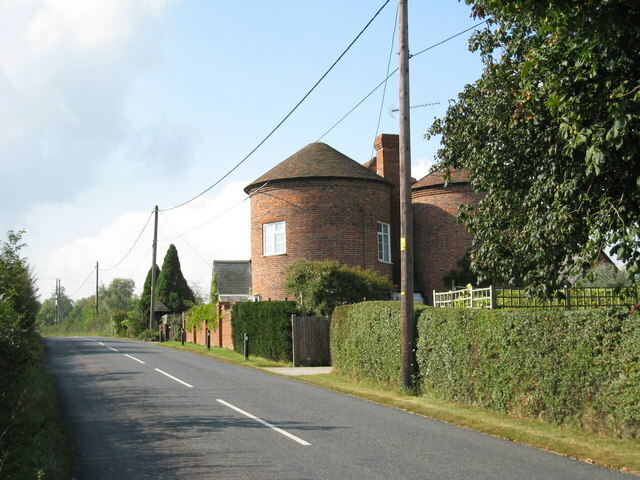 Some were cross-overs between round and square kilns. 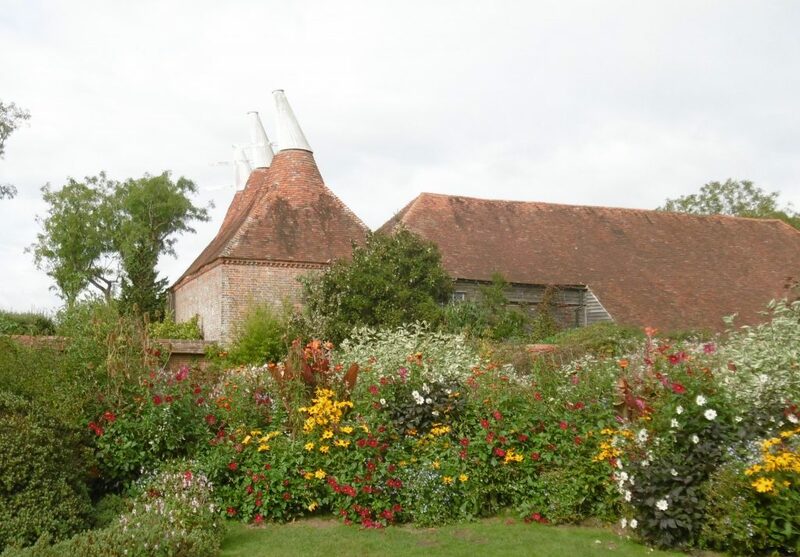 One example is at Great Dixter, East Sussex which has three square kilns but looks more like three round kilns joined together outside. 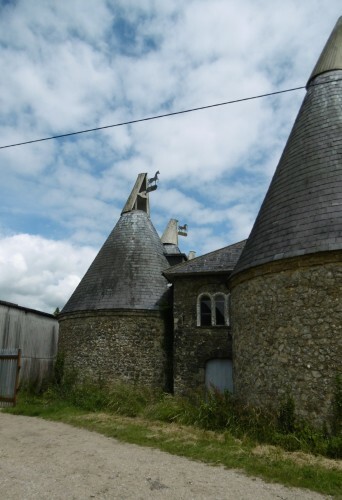 It may be the most photographed oast or hop kiln in the country because of its proximity to the famous garden created by Christopher Lloyd and because it has been carefully maintained as it was built in the 1890s and as was used up until the 1930s. It is one of the few places in England were one can get a feel for what the inside of a kiln was like (see the section on furnaces and air currents). Great Dixter, East Sussex. 2016. round and square designs combined. 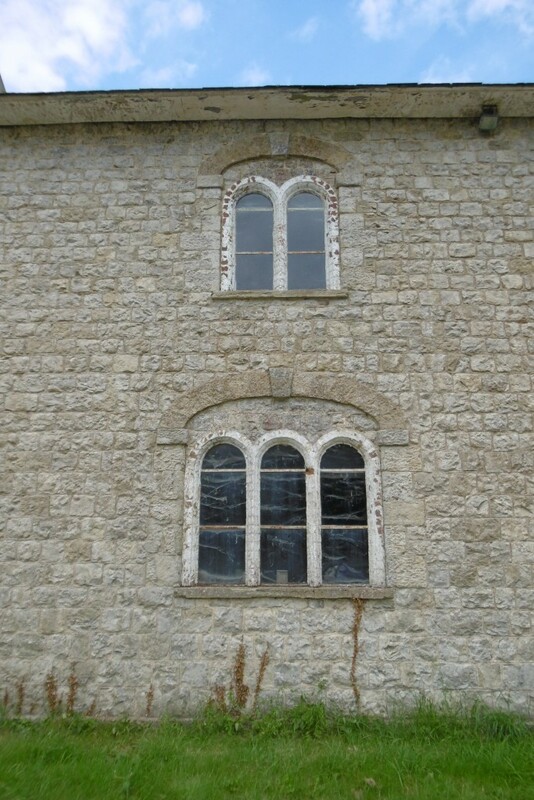 A good example of a “dental Course” of bricks under the eves. 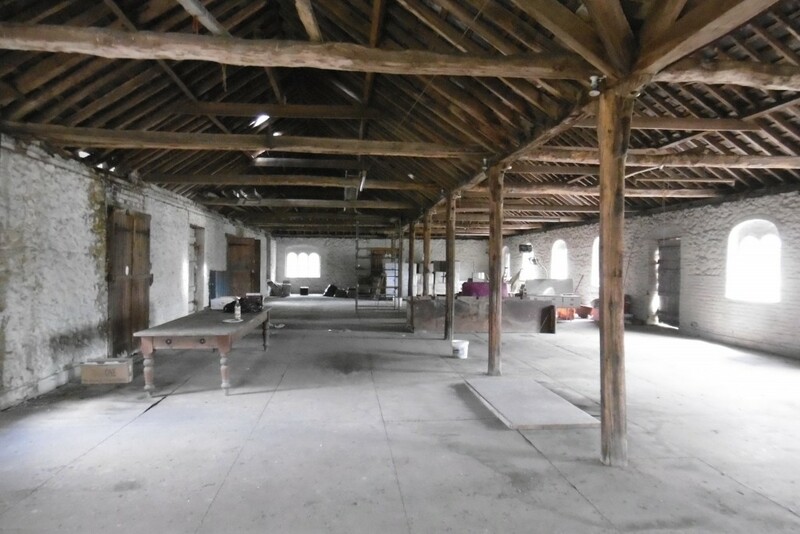 The kilns were attached in the 1890s to the old Great Barn with a linking building to serve as a cooling floor. Why, one wonders, was this unusual design chosen by the farmer of the day? In contrast the kilns and the rear of the building are made of dressed flints. The first floor stowage gives some idea of the scale of hop drying that was taking place in the mid 19thCentury. The sense of space is accentuated by the delicate wood posts supporting the roof. There were hop presses at either end of the room. 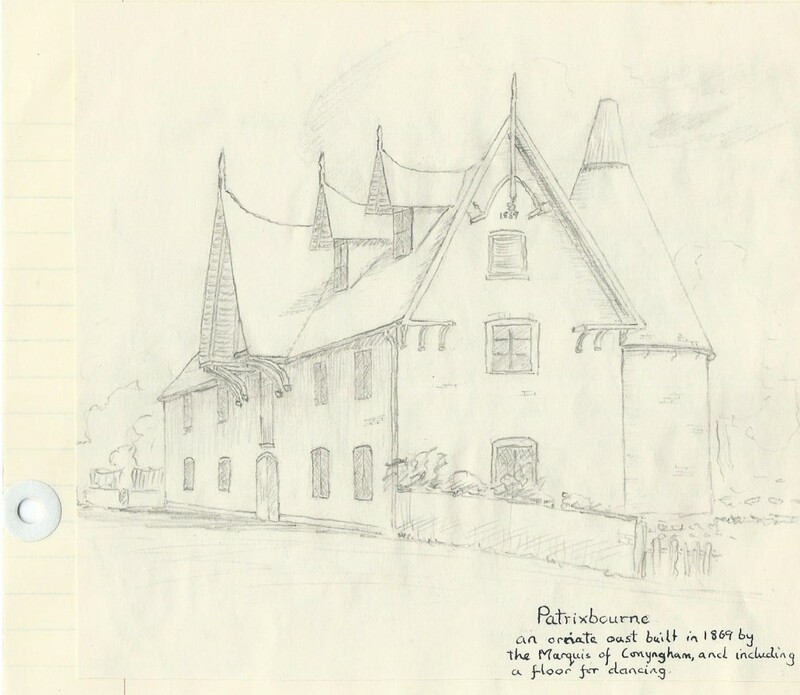 At Patrixbourne, a few miles to the SE of Canterbury the Marquis of Conygham built an eccentric oast in 1869 on the main village street. It is a on- off design rather than part of an estate pattern. By 1960 it was no longer used for drying. It was converted into a dwelling in the 1980s. Anothr strand of unusual kilns were those built with chimneys, comparable to the structures of medieval kitchens on grand estates in Britain and France. 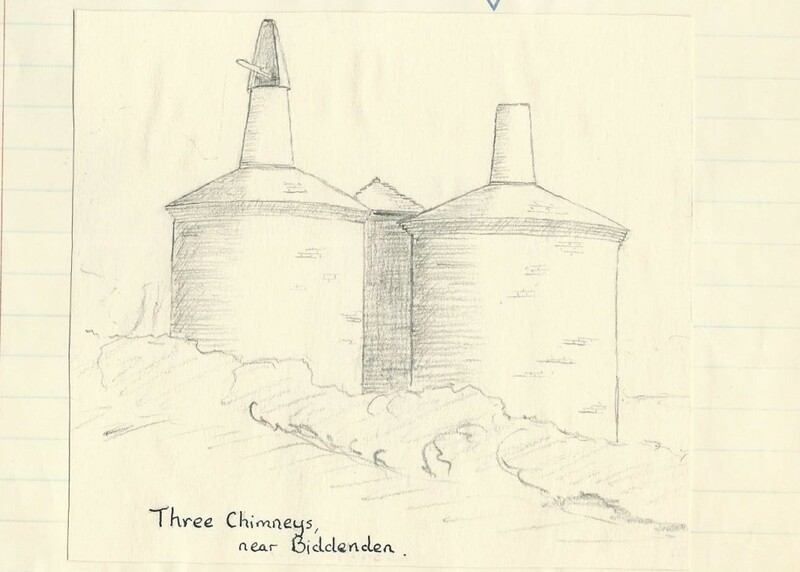 One is at a junction on the road from Goudhhurst to Biddenden in Kent called Three Chimneys. 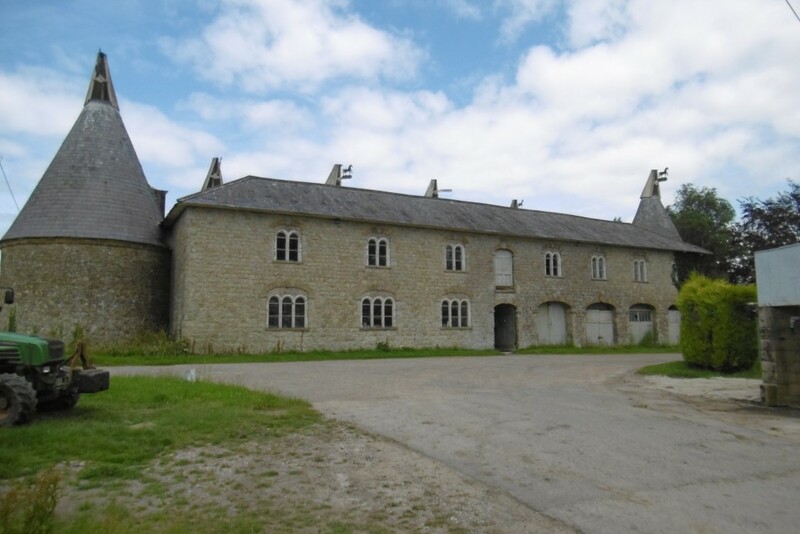 It is not clear whether the oast took or gave its name to the locality. Sadly the distinctive features have been obliterated in recent years, as shown by the contrast between my 1960 drawing and the 2015 photo. 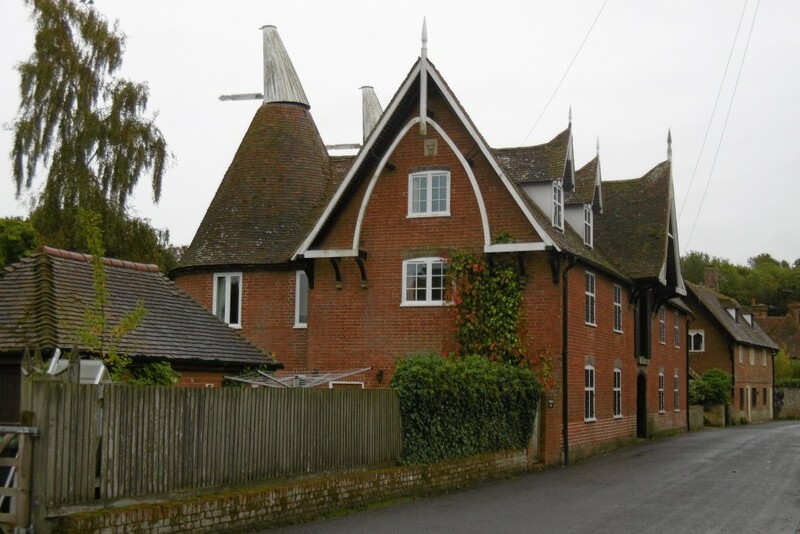 A similar “chimney” oast is at Hales Place, Tenterden, but is not visible to the public.